Shannon is located in the heart of County Clare, a county that is known as one of Ireland’s cultural capitals; and it certainly lives up to its reputation. Throughout the year, County Clare’s buzzing events calendar is brimming with fun family activities and things to do, whether it be traditional Irish festivals or festive events, there’s something for everyone. Soak up some of the county’s best art offerings at the Mount Shannon Arts Festival, tread the boards at West Clare’s Drama Festival, or simply celebrate the beard at County Clare’s ultimate follicle festival – Ireland’s Best Beard and Moustache Festival. 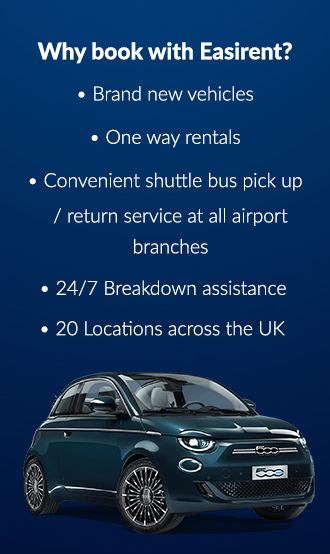 Shannon is well located and within reach of many of the annual happenings that take place across the county, and the best way to experience them all is in your holiday hire car from the team at Easirent Car Rental, Shannon Airport. Here at Easirent, we’ve picked out some of our favourite annual events, all easily reachable in your holiday hire car. Named after the hit Channel 4 TV programme, Father Ted, this annual festival is full of fun and acts as an annual gathering for fans of the short-lived British sitcom. Fans travel from afar to attend the festival, which takes place across two days each Ma. Fans of Father Ted make the yearly pilgrimage to Lisdoonvarna, which is just under an hour’s drive from the centre of Shannon town along the R476. Make sure that you purchase your tickets for the festival in advance to ensure that your entry is granted to all of the activities across the weekend. Adult tickets cost €35, and included in the price will include a bus trip to the Father Ted house, with tea and cakes included (Mrs Doyle’s finest, of course). As well as a trip to the famous residency of Dougal, Father Jack, Father Ted and Mrs Doyle, ticket prices include entry to the Lovely Girls event on the Saturday evening. And there’s plenty of activities planned throughout the event, including priests and nuns table football, priests and nuns karaoke, with plenty of fabulous prizes up for grabs. During the weekend there will be matchmaking events, with local matchmaker Willie Daly, and of course, how could we forget the Golden Cleric Awards. Details and dates for the Father Ted Festival can be found online, simply search ‘Ted tours County Clare’, for more information. Taking place annually in Doolin, County Clare, which is a 37 mile drive in your rental car from Shannon town centre, you’ll find the Writers’ Weekend. The quickest way to reach Doolin, which is located on the west coast of Ireland overlooking the brooding Atlantic Ocean, is along the N85, taking in the sights of the surrounding countryside along the way. Expert writers and lovers of literature should make the Doolin Writers’ Weekend a priority if they’re in the area, as it’s packed full of eclectic, arty activities from writing workshops, to readings, music and food, and it has something for writers at every stage of the writing process. So, if you’re a beginner or a pro, there’s something here for you to get stuck into. As an area, Doolin has long been associated with the arts, and has inspired many famous musicians, painters and writers throughout history, including JM Synge, Dylan Thomas and George Bernard Shaw. There is opportunity for enthusiastic authors to take part in the Doolin Writers’ Competition 2018 which has a prize fund of €2500, and is awarded to the best entry for short stories, poetry and flash fiction. The Concertina Cruinniu is an annual weekend of music, lectures and concerts, for musicians and music lovers of all levels. Located just a short drive in your holiday hire car from Shannon, in Milton Malbay, the event takes place in February across three days. The Cruinniu, which means ‘gathering’ in Gaelic, brings together people from across the entire country, all of whom congregate to take part in recitals, concerts, lectures and sessions, all centered around the music of the concertina. Visitors can expect to learn about the instrument, which one is best for them, and how to repair and maintain it, as well as plenty of Irish craic! Just a 10 minute drive in your holiday hire car from Shannon town centre, you’ll find Bunratty, a lovely little town just along the coast, and the home of the Bunratty International Chess Festival. Taking place each year in February, the chess festival is the place to go if you’re an avid player of the logic game. With competitors attending from all around the world, the Bunratty International Chess Festival is serious business, and to take part you must be a member of the Irish Chess Union. Of course if you’re visiting from abroad and want to compete, then make sure you pay your competitor’s fee to the Irish Chess Union before arrival. There will be cash prizes available to be split between the winners of each tournament. Now in its 56th year, the West Clare Drama Festival is the biggest and best festival to recognise the efforts of amateur drama groups across the country. Established in 1962 to foster collaboration and encourage efforts, the festival has grown over the years to become a 10-day celebration of Irish drama, and is well attended by people from across the whole of Ireland. During the celebrations, full-length Irish and international plays are performed by amateur performers and local drama groups, all hoping to be nominated into the Open and Confined All-Ireland Finals. Taking place in Doonbeg, which is a 40-mile drive along the R484 from the centre of Shannon, the West Clare Drama Festival is the place to visit if you’re looking for some friendly and well-priced amateur dramatics. Tickets for each day of the festival can be bought from the Doonbeg Community Hall each evening and cost €10 for adults, €5 for children and a season ticket will cost €60. Make sure to arrive before the curtain goes up at 8pm; doors open from 7pm each evening, and more details about the lineup can be found online. We’re going through a bit of a beard renaissance at the moment, with male grooming being one of the current trends amongst men the world over. But, there are some men who have spent lifetimes growing and perfecting their facial hair, and you can be certain that you’ll find many of them at Ireland’s Best Beard and Moustache Championships. Taking place each May during the Festival of Finn, the Beard and Moustache Festival attracts competitors from Ireland, Europe and America, all competing for first prize in several categories including: Best Moustache, Best Partial Beard, Best Full Beard, Best Trend Beard, Best Six Week Beard and Best Fake Beard. Ireland’s Best Beard and Moustache Festival takes places in Corofin, which is a 30-minute drive from the centre of Shannon in your holiday hire car. For the fastest route, take the N85 past the outskirts of Ennis and towards the Burren National Park. Located a 40-mile drive along the R352 in your rental car from Shannon town centre, the Mountshannon Arts Festival is an annual celebration of all things art, taking place on the banks of Lough Derg in Mountshannon, East Clare. Showcasing the county’s talents through exhibitions, performances and workshops, the Mountshannon Arts Festival is rooted in visual arts and aims to inspire locals and visitors alike through accessible art exhibitions. The festival brings together some of the county’s best, against a beautiful rural backdrop, and has been pulling in visitors in increasing numbers year on year. Founded in 1995, the festival has over two decade’s worth of experience in curating an entertaining and renowned arts festival, which is perfect for guests of all ages. The Mountshannon Arts Festival works in partnership with other local groups, including: World Music Centre, Irish Writers Association, Dance Daghdha, Limerick Printmakers, Limerick School of Art, Burren School of Art, Glor, Access Cinema, Clare Arts Office and the Music Network, amongst others. The objectives of the festival are to enable people of all ages and abilities access to a variety of artistic disciplines that they might not encounter otherwise. The organisers of the event seek to create a sustainable experience of local art for years to come, through educational programmes and through wider collaborations with other Irish arts institutions. Tickets for all of the festival’s events can be bought online before you arrive, providing access to everything from drama performances, to creative writing workshops, print classes and dance events.